Slice compound butter into 1 T. chunks and freeze, originally uploaded by homegrowndotorg. We don’t get much cream so homemade butter is a distant dream. 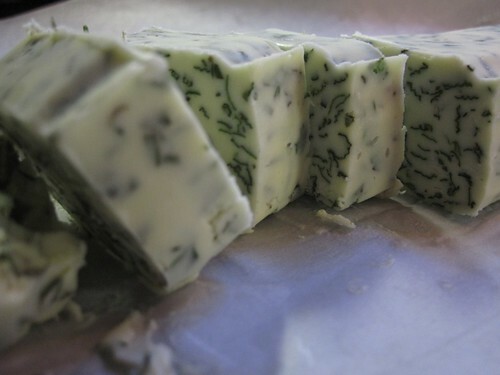 This homemade butter, however, looks amazing! I make homemade butter all the time. We love it and this picture looks amazing. I was thinking about making flavored homemade butter for Christmas presents and after seeing this picture, I am certain I will.